Nevada’s state trademark laws will get a significant makeover if a recently introduced bill (Assembly Bill No. 115) is passed by the Nevada Legislature during its feverish 120 day session (the Nevada legislature, by law, meets biennially and its session is limited to 120 calendar days) and signed into law by the Governor. A copy of the bill as introduced can be viewed here (HT: John Krieger). Nevada’s current laws for state trademark trade names and service marks (NRS 600.240-600.450), like the state trademark laws in many other states, is based on the International Trademark Association’s (“INTA”) Model State Trademark Bill (“MSTB”). In 2007, the INTA proposed several amendments to its MSTB, mostly to account for legal changes that occurred in the area of trademark dilution. The MSTB had not been changed since 1996 when it was amended by the INTA to reflect the Federal Trademark Dilution Act of 1995 (“FTDA”). However, when the U.S. Supreme Court decided in Moseley v. V Secret Catalogue, Inc., 537 U.S. 418 (2003) that the FTDA required evidence of actual dilution, Congress in 2006 passed the Trademark Dilution Revision Act of 2006 (“TDRA”), Pub.L.No. 109-312, 120 Stat. 1730 (2006) (now codified at 15 U.S.C. § 1125(c)), effective October 6, 2006, thereby enacting a likelihood of dilution standard for claims of dilution under federal law. So in 2007, INTA amended its MSTB to incorporate the changes to dilution law made by the TDRA (a summary of the 2007 amendments is posted on INTA’s website). However, there is an additional significant change being proposed by the bill that will change the way in which Nevada state trademarks are obtained. 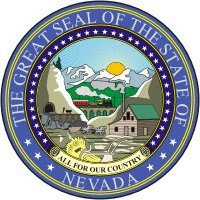 Presently, Nevada’s system of registering trademarks, service marks, and tradenames (like many other states) has been mostly a “rubber stamp” process – a registration is almost always granted so long as no other party currently has a similar mark already registered with the Nevada Secretary of State (“NV SOS”). No formal examination (as is done at the federal level with the U.S. Patent and Trademark Office) is done at the state level for state registration applications (even though NRS 600.330 does set forth grounds for refusing to register marks similar to the grounds for refusal under 15 U.S.C. §1052). It looks like all of that is going to change under this new legislation. In addition to making the state’s dilution provisions consistent with the TDRA, the bill will implement a formal system of examination of state registration applications that is consistent with the federal system of registration of trademarks under federal law, including a full application submitted for examination (Section 13) (which may include the requirement for disclaimers of unregisterable components), a process for appealing to the District Court final refusals to register by the NV SOS (Section 14), and even provisions for cancellation proceedings for senior users who want to cancel a junior user who was first to file (Section 15). Which raises the obvious question – if filing for a Nevada trademark is essentially going to be treated the same as a federal trademark registration application, why bother with filing a state application where the scope of your trademark rights are limited to just the state – why not go for the federal trademark registration and get exclusive rights nationwide? After all, if you are refused registration at the PTO on the basis of likelihood of confusion with an existing registered mark, why would you take the risk of adopting that mark for use in the state when the federal registrant could sue for trademark infringement? And if you are refused registration at the PTO level for one of the other Section 2 grounds for refusal, then, in theory, those same reasons would block a state trademark registration as well. Part of the new law states that the NV SOS may require the applicant to disclose whether an application has been filed with the PTO and if the application was refused registration, the reasons for refusal. One possible benefit might be in the case where your research shows that a registered mark might actually be abandoned even though it is still on the Principal Register. If such a registered mark were to preclude registration of your proposed mark at the federal level and yet you are certain that the mark has been legally abandoned, then rather than going through the process of petitioning to cancel the registered mark, a state registration would buy you some degree of protection over your mark (assuming the mark is not already registered at the state level). Of course, if you are that serious about the mark and that certain of the registered mark's abandonment, you should hire an attorney to file a cancellation petition. If the registered mark is truly abandoned, then no one will respond to the petition and the mark will be cancelled. And if the registrant happens to step forward to claim that the mark has not been abandoned, then you can reconsider whether you want to use the mark in the first place. The one benefit the state system does have over the federal system – no opposition period. So perhaps for those owners who apply to register a mark with the PTO but whose efforts are quashed by an opposition filed by some overzealous company that seeks to stop any federal registrations containing a word that the company sees as being exclusively their own (say, an innocent word like “Virgin” -- see my post from Monday), the state system offers another avenue towards obtaining some level of protection for the owner’s mark. Of course, if a company was so eager to oppose registration at the federal level, one should think twice about whether to use such mark at all and possibly bear the wrath of a trademark infringement lawsuit from the overzealous company (see the aforementioned blog post).